In America, we like to think that everyone should have an equal shot at making a good living. But plenty of research shows that's still not the case — your chances of getting ahead depends a lot on the zip code where you were born and racial discrimination still stifles careers. 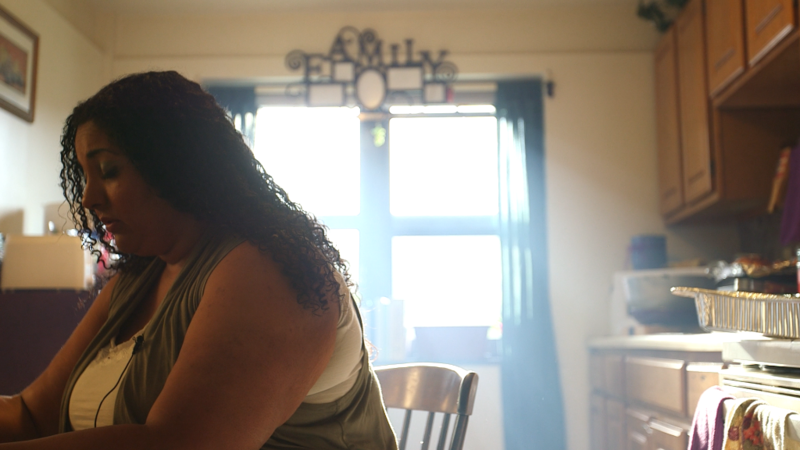 And a new analysis from the Federal Reserve Bank of St. Louis finds that your parents' socioeconomic status holds a lot of sway, too. The economists sliced data from the Federal Reserve's triennial Survey of Consumer Finances, which canvassed 6,254 families in 2016 about their demographics and their bank accounts. The main finding: How much money you eventually make has a lot to do with your parents' race and whether they went to college. Whether you graduated from a four-year college yourself matters as well. But even then, it's hard to make up for the disadvantages of your upbringing. "In principle, these differences could have been predicted at birth," the authors wrote. "Inherited demographic characteristics are very important determinants of adult outcomes like education, income and wealth." How important? Here are a few takeaways. Children born to families headed by white parents with college educations have the biggest head start, the researchers found. The median income for these folks by the time they reach middle age was $113,618 in 2016. That's nearly three times the median income of a non-white adult whose parents didn't attend college. The disparity is even greater when it comes to net worth. By middle age, white people with educated parents have a median net worth of $374,640 — 14 times as much as people of color whose parents didn't go to college. The researchers found that the demographic characteristics of parents, therefore, exert a strong pull over the economic fortunes of their kids. The child's education matters too, but not enough to erase his or her demographic inheritance. 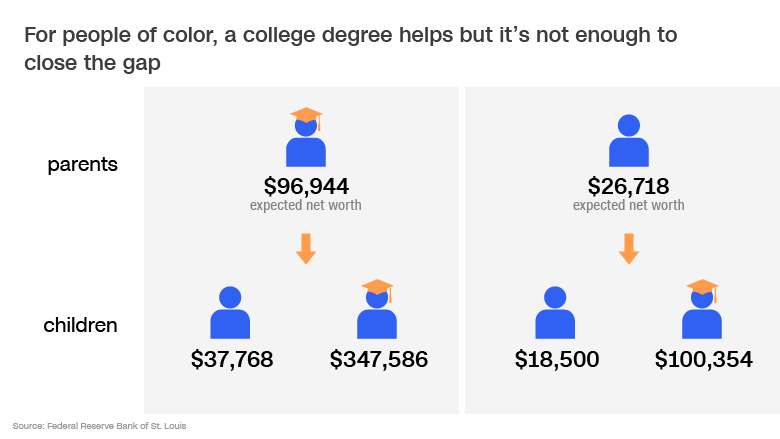 For example, a college-educated person of color born to parents who did not have get a college diploma made $70,749 by middle age — that's just a little more than half the $114,225 median income earned by college-educated whites whose parents have earned no secondary degree. 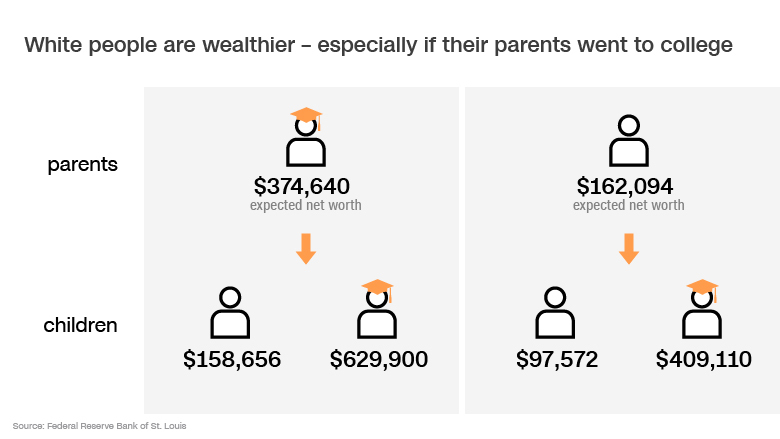 Why is having a college-educated parent so important to building wealth? Besides being more likely to put their own kids through college, the data showed that the children of college graduates score higher on financial literacy tests and are more likely to take risks to earn a higher return on their investments. Because white people have historically had greater access to higher education than people of color, the inequity has become ingrained in the U.S. economy. Who falls down the ladder? Just as getting a college education helps people climb the economic ladder, not getting one can knock people down a few rungs. These are only observations based on averages, not solid evidence that demographic characteristics themselves govern one's lot in life. But the St. Louis Fed economists expressed confidence that the strong correlations suggest the education and race of one's parents is at least hard to escape — and a big reason why it will take so much time and work to close the gap.